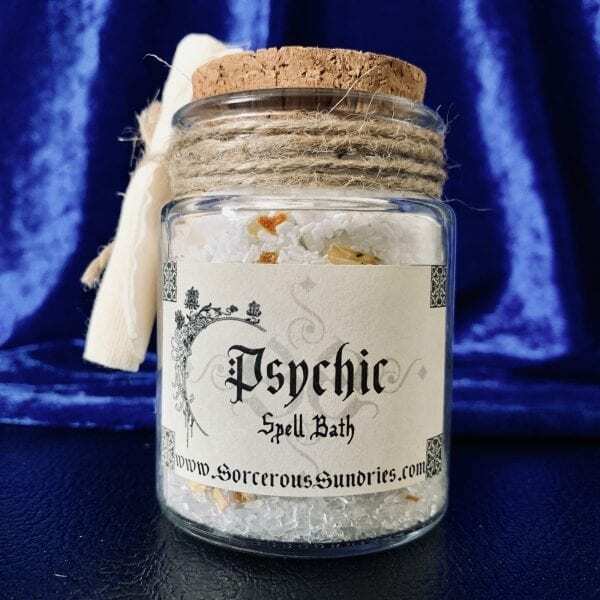 Use Psychic Spell Bath to wash away all energies picked up throughout the day and raise your psychic awareness. 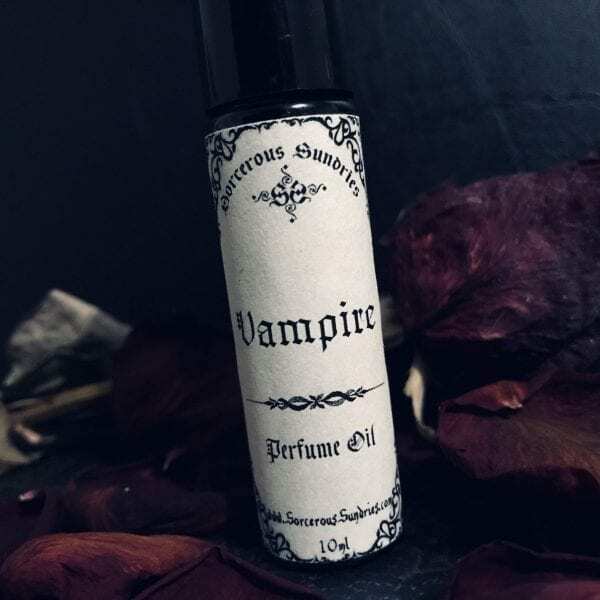 Sweet and crisp, earthly and warm, bathe in natures psychic enhancing bounty to help you with any psychic spell or divination magic. Submerge yourself in the aromatic water and draw forth the energies needed for your desired outcome. Before performing any ritual it is essential to cleanse yourself of any negativity, leaving you with a clear entry slate. 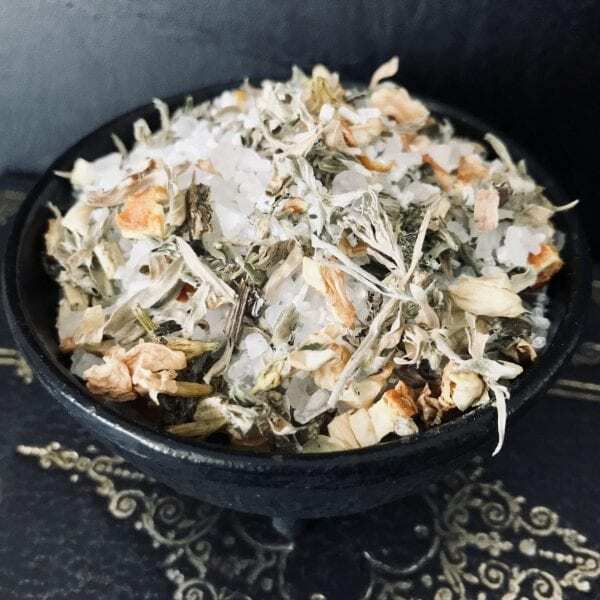 Add 1 tablespoon to the reusable muslin bag and place in your bath water before any spell casting or magic ceremony. Product comes in a glass corked jar. 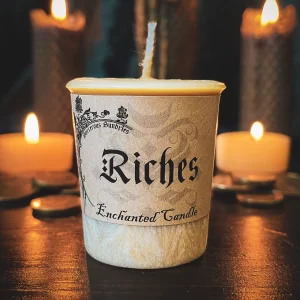 Sorcerous Sundries Spell Baths are made with all natural essential oils, herbs, flowers, Epsom salt, crystal salts and roots.